Thankfully, I can now cross “eating a turkey leg” off my bucket list. In the many years I’ve visited and worked at Disney, I had not tried one until the photograph above. 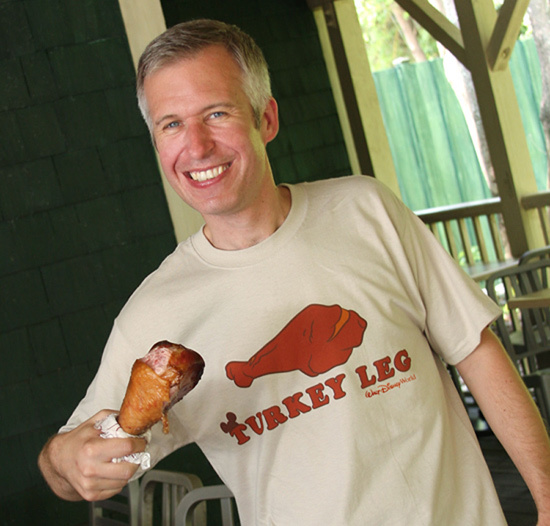 Following a dare by my fellow Disney Parks Blog author Jennifer Fickley-Baker, I made my way to Disney’s Animal Kingdom to try this iconic feast of meat while sporting the rather humorous Turkey Leg shirt. Upon my return to the office, I asked product developer Laura Caszatt how she came up with the idea for my new favorite shirt. As it turns out, Disney Theme Park Merchandise loves putting food on merchandise. We have created magnets, a “Snack and Play” set (which includes a turkey leg! 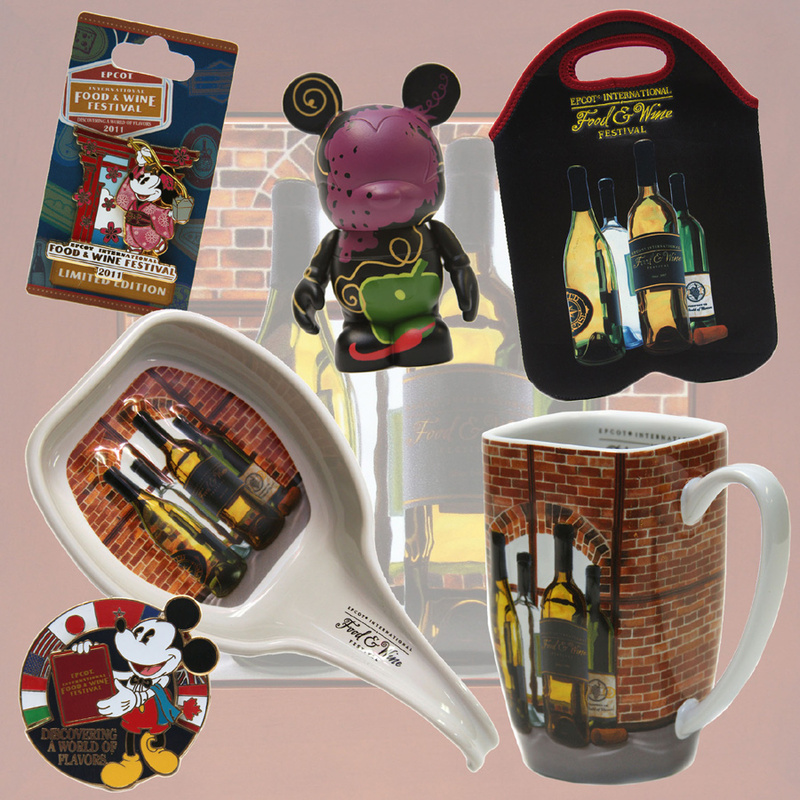 ), cookbooks, Disney ear hats, Disney pins and more. Of the latter, Julie Young, Developer for Disney Pins, recently paid tribute to breakfast with some two-pin sets. Two words – coffee and donuts (my ideal breakfast)! 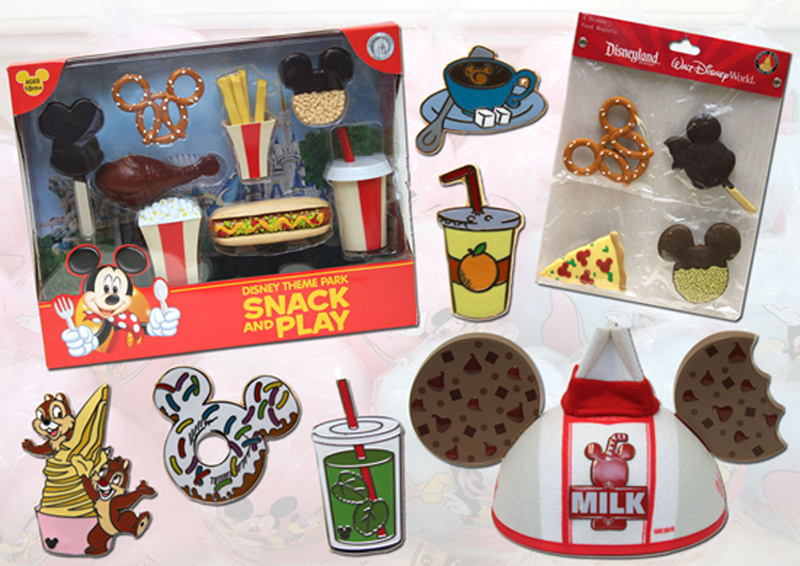 I too used food as inspiration when I once developed Hidden Mickey pins for Disney Parks. The Dole Whip from Adventureland and the mint julep from New Orleans Square were some of my favorite pins I created. 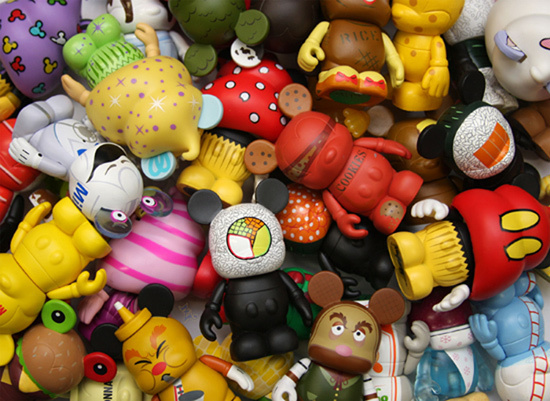 One category that has embraced food since its inception is Vinylmation. The image above is just a sampling of the various 3-inch figures that have either been released or are coming soon. Look carefully and you will see some figures from an Epcot Center show that I love (“There are no substitutes for we…”). Speaking of things I love, I have a special sneak preview of merchandise coming to the International Food and Wine Festival at Epcot on September 30. This festival is one of the many reasons I love working for Disney. We used the poster artwork created by Maryanne Schmidt as inspiration for several items. And for the first time, we will offer a unique boutique of select items from the festival via our Disney Parks On-line Store! The on-line store will open around the start of the festival.